Chopsticks which make your kids smart! Hands are the second brain! Chopsticks, easy to learn and fun to use! It is very much easy and interesting to use for beginners of all ages. Genius & cute design works amazingly well for users. High-quality, non-toxic material, well-made & stylish design for every user! Safety, Sanitization and Environment always matter. We use premium ABS plastic as material and test our products by periods. No difficulty & no stress. Amazingly fun, simple & easy! 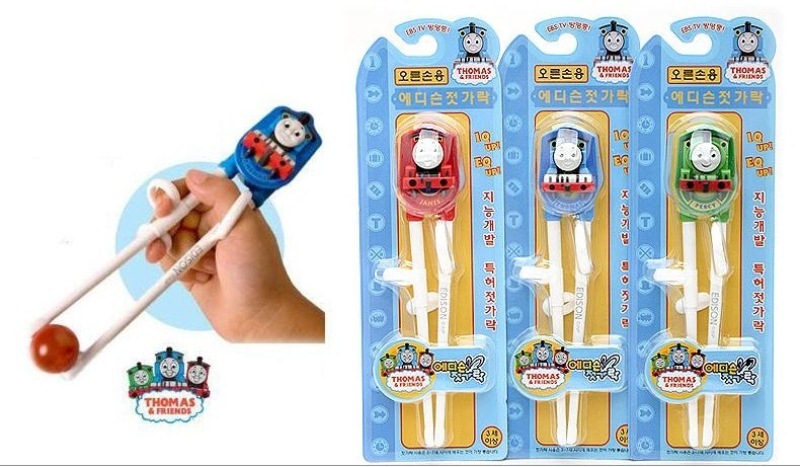 Connector: The core part of Edison Chopsticks makes their movement very stable and attracts users with eye-catching popular characters. Rings for your fingers: Ergonomically designed considering the shape, location & angle of your fingers when using regular chopsticks. Teaching and training the right position of your fingers occurs very naturally. Edison Chopsticks is great for better handwriting position as well. 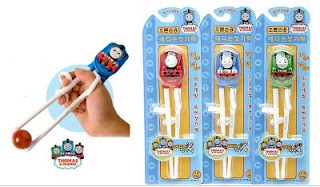 Since the posture that children use to grasp Edison chopsticks are same as for a pencil, the constant use of Edison chopsticks enables them to understand angle positions and to write in the correct posture. * Bad learning of chopsticks use makes correction even harder. "As a boy, so the man." If you develop bad habits in chopstick use when you are young, it is even harder to correct when you grow up. Children will develop a self-confidence about chopsticks use and an imbalanced diet will be finished simultaneously when they can take unfavorable dishes (vegetables) as they are complimented from their parents. However, there is a report that “IQ development is completed between the age 3 and 6”, and many experts say that chopstick use in children from this age group is significantly helpful in stimulating neuron networks in brains and developing intellect”. Edison chopsticks are new-concept patent education products that can train children aged 2 and older with no stress by helping them to enjoy using chopsticks.